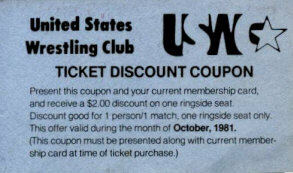 In 1981, Jim Crockett promotions developed a club for their fans and called it the United States Wrestling Club. 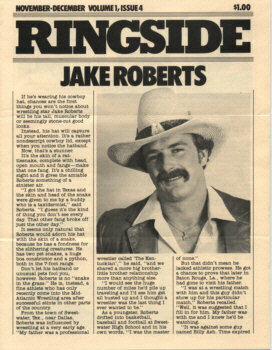 For a membership fee of $5.00 for one year, fans got the bi-monthly club newsletter Ringside, discounted subscription offer on Mid-Atlantic Wrestling Magazine, discounts on tickets to local Mid-Atlantic wrestling events, and discounts on concessions. Despite being initially well received by fans, Crockett Promotions folded the club after only one year. Letters from Club President Jim Crockett, Jr.
Volume 2 Issue 2 - March/April 1982 - Blackjack Mulligan Jr.